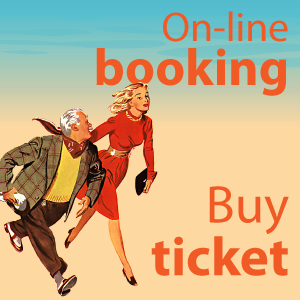 Tickets to Naissaar from €10 (one way), depending on the ferry operator. The ticket includes the Naissaar island visitor fee. Travelling to Naissaar from Tallinn by ferry takes about 60 minutes. Naissaar’s ferry services are operated by various vessels with a capacity of 12–200 people. You can take a bicycle or a motorcycle with you. Cars cannot be transported. 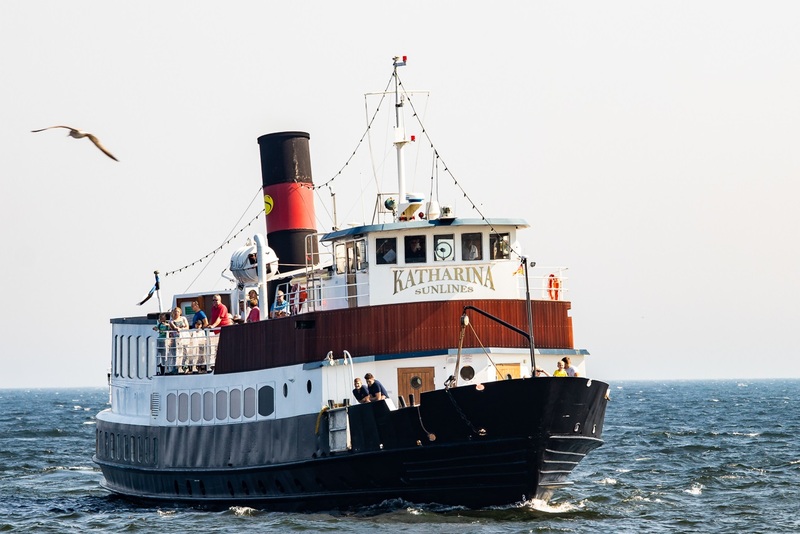 200 passengers: m/s “Katharina” The ship has three public rooms, two sun decks, a meeting room, a bar, and a restaurant. Meals (breakfast or lunch) can be pre-ordered on request. Travelling to Naissaar takes 60min; during the voyage, the bridge is open for visits and you may take a picture with the captain by the steering wheel. Scenic views on the way to Naissaar: Katherine keys, Bald Island, Midshallows lighthouse. In addition to regular travel, a ferry may be booked for private events. 200 passengers: m/s “Monica” serves a regular route between Naissaar and Tallinn. Travel time: from 1h 15min to 1h 30min, depending on the weather. The ship departures from Kalasadam and is operated by Ujukoma OÜ. 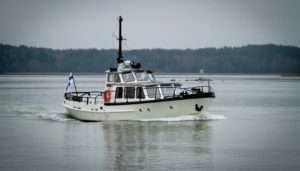 25 passengers: the small but sturdy Finnish-made motorboat Kalk accommodates 25 passengers and travels between Naissaar and Tallinn. Travel duration: 1h 30min. The captain of the motorboat, boatman Rauno from Naissaar, organises tours on the island and can help with catering, if needed. Groups are transported on Naissaar by a military vehicle. In addition, you can rent a bicycle. If you want to explore Naissaar with your bike, take a bicycle with you.